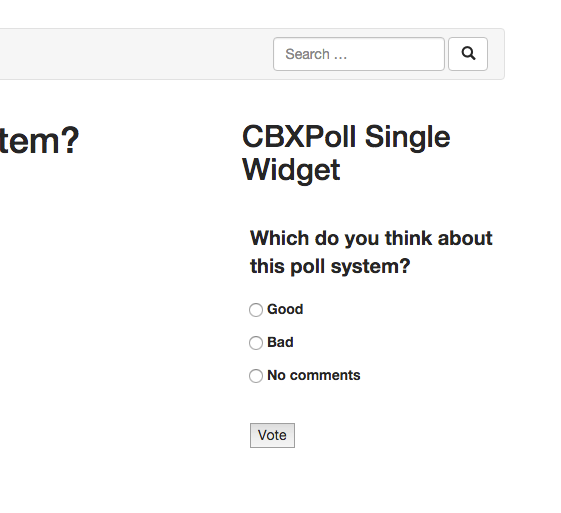 CBX Poll plugin helps to create poll system for wordpress with all possible features. CBX Poll is developed thinking all the basic and advance need for a poll system in wordpress eco system. 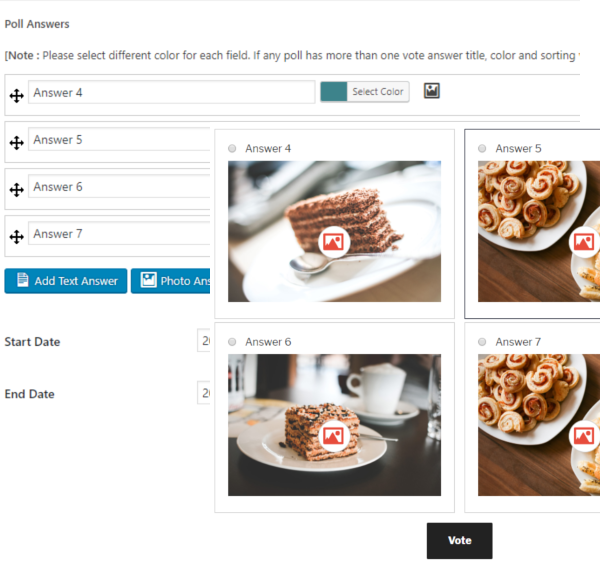 The plugin is developed thinking both user and developer in mind so that it can be customized easily using simple hook and filter system of wordpress. 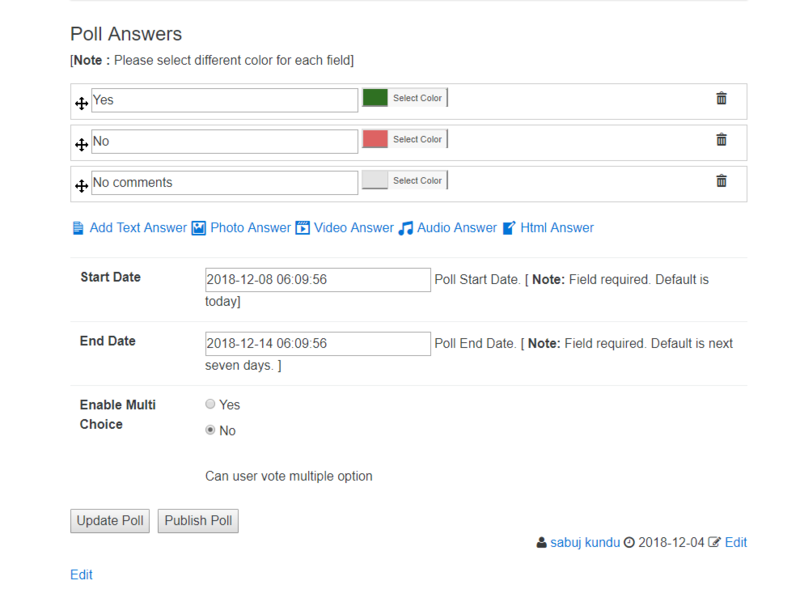 Unlimited questions, each question has different color option and text based question/answer. 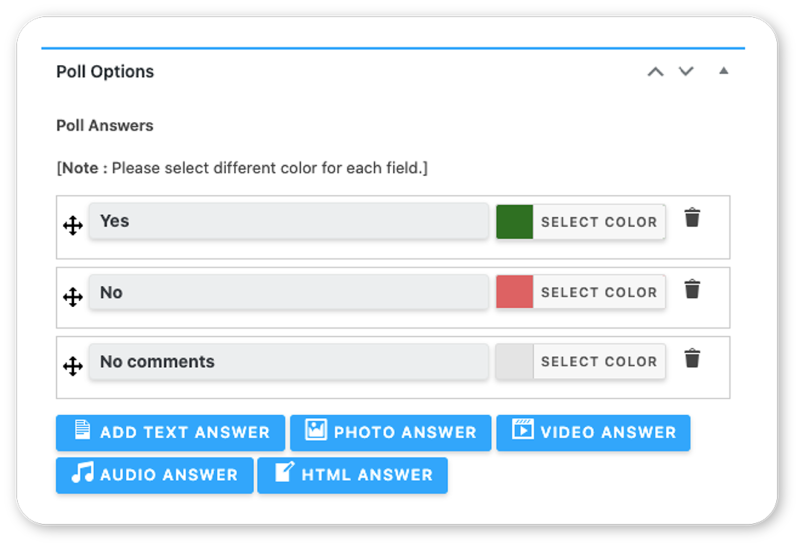 Lots of control and advance answer types. 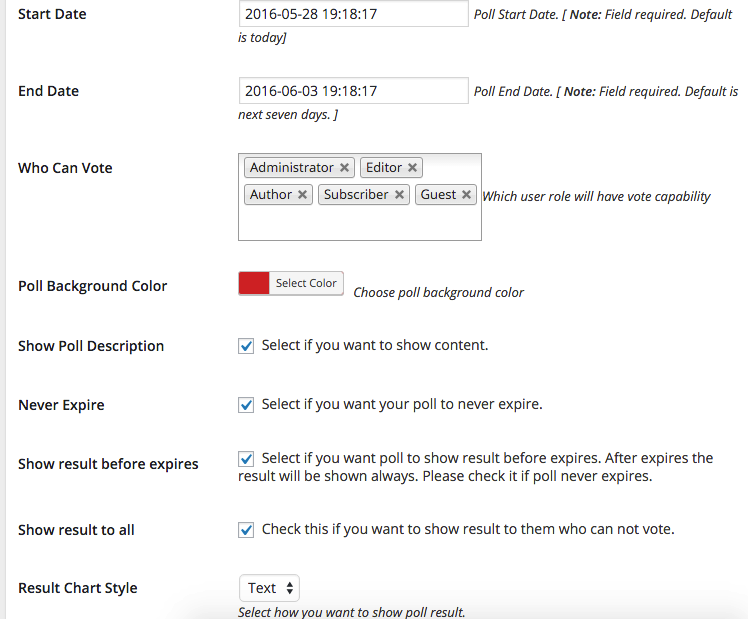 Full voting system control with many functions. 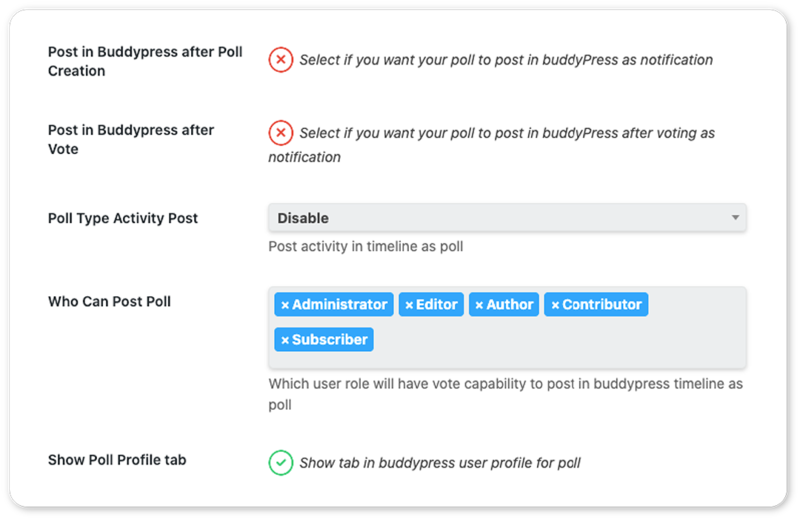 User level filtering by wordpress native role. 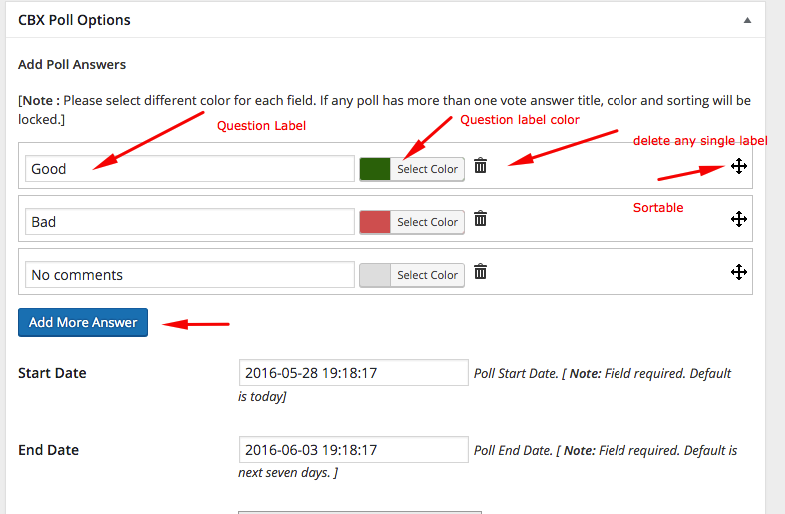 Schedule Start & end date of a poll, control poll expire or who can view the result and when. 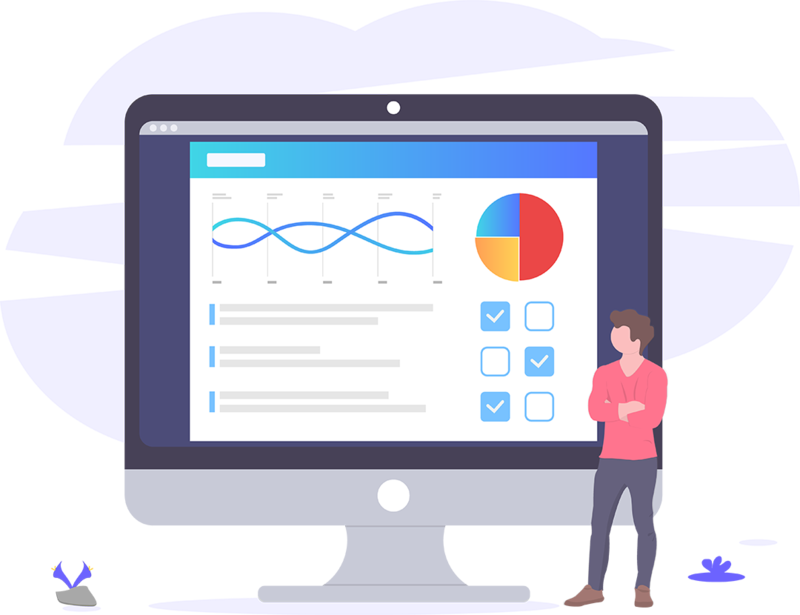 Show result in different style – basic text based, twitter like or pie chart type. 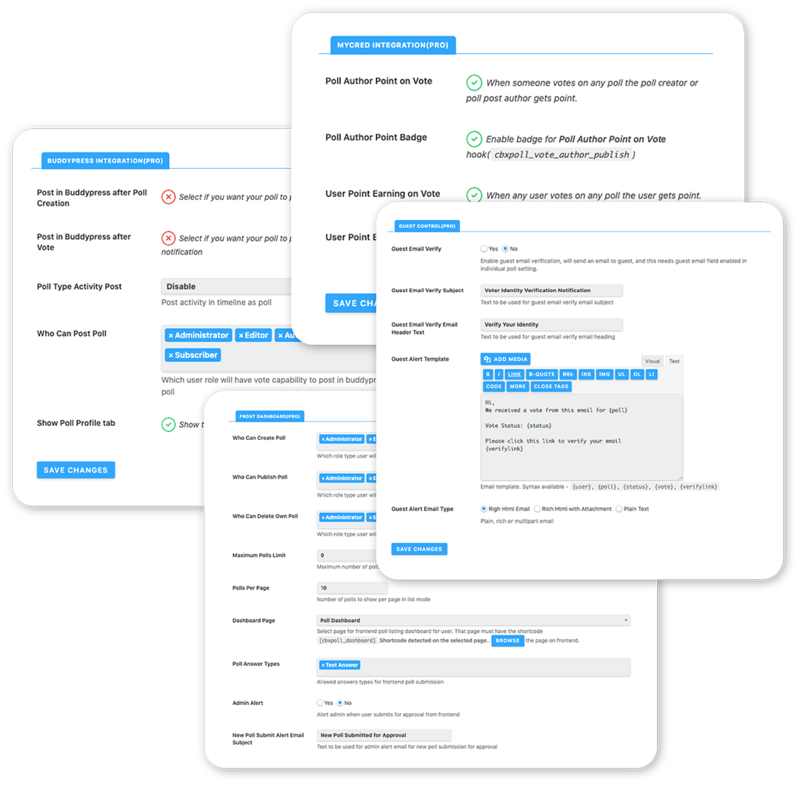 Available clean email template and settings. 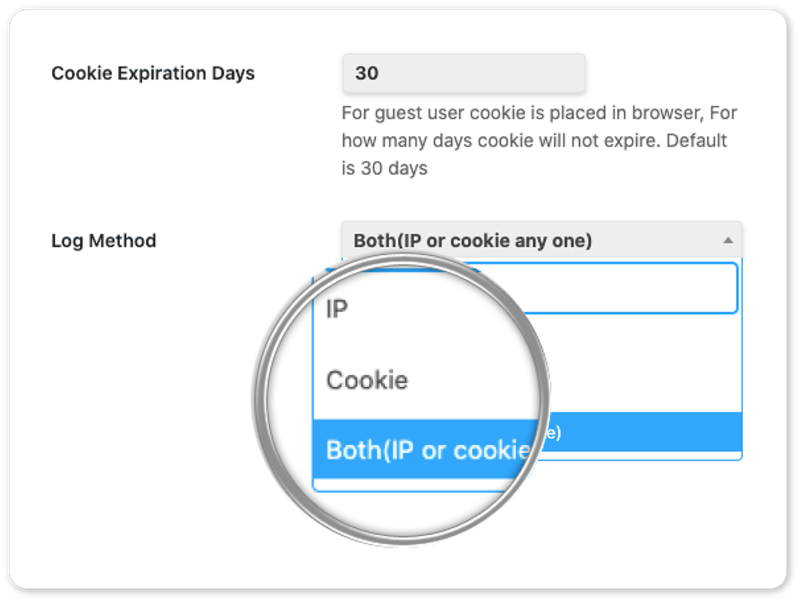 IP and Cookie checking system to restrict repeated voting. 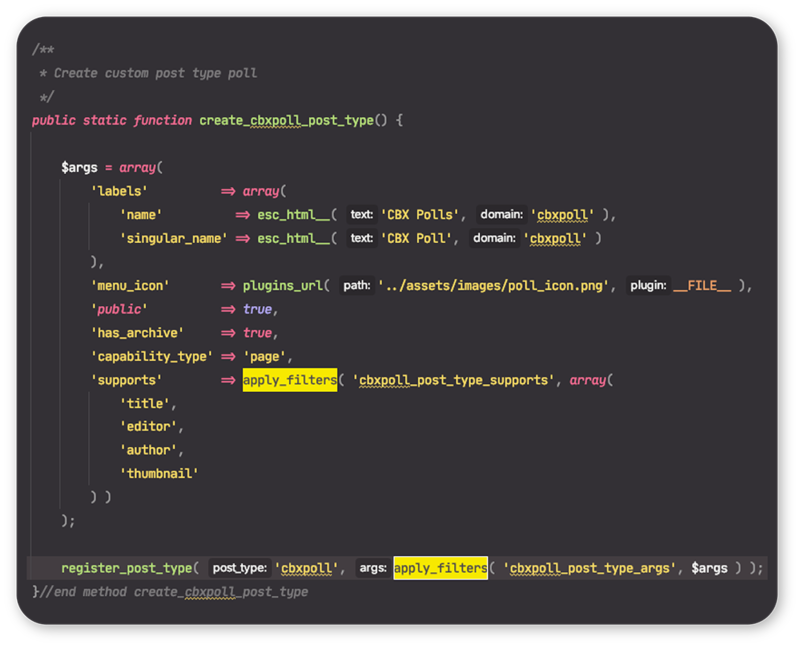 Data validation in frontend and server side. Security sanization at it’s best. 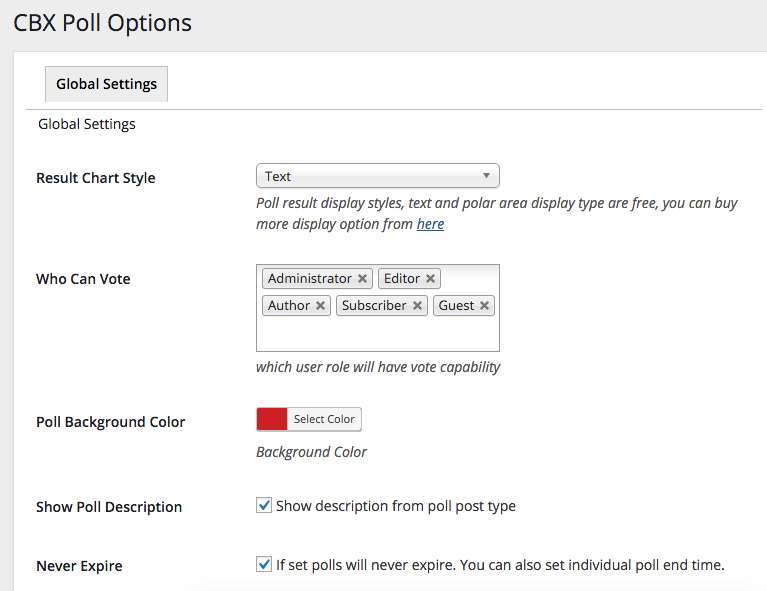 Each poll has individual settings which overrides global settings if applicable. 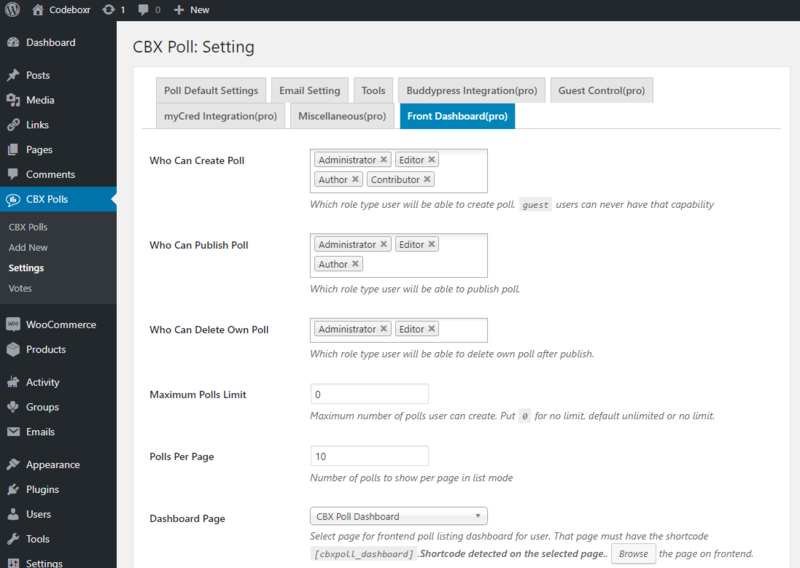 Special features for guest vote control using pro addon. 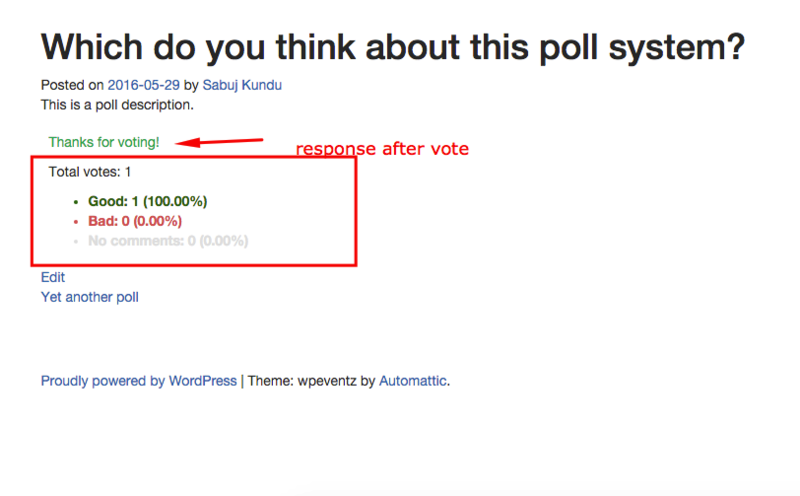 Verify guest identity using email verification and after verification vote is accepted. 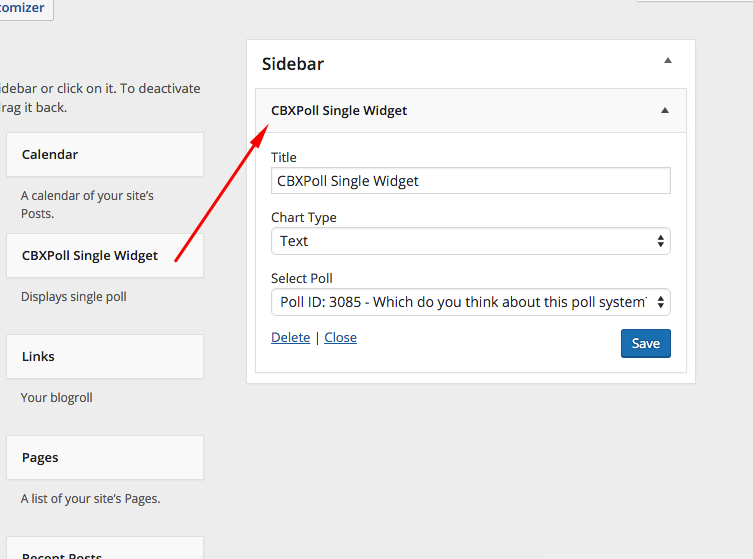 Shortcode :- For example [cbxpoll id=”poll id here”] or multiple poll using [cbxpolls] and widget to display single poll. You need any more features ? 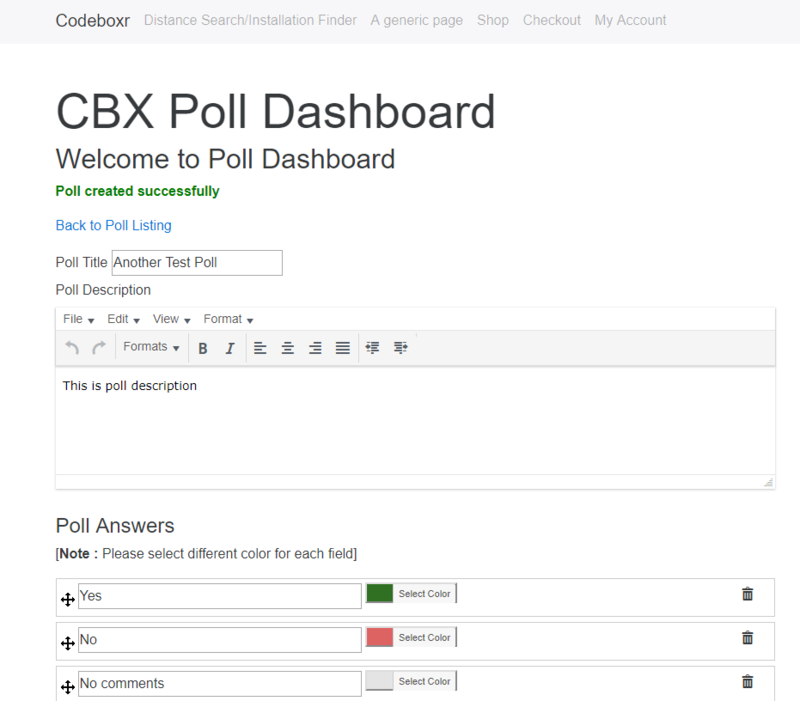 Let us know, we will implement either in free core version or in pro addon. 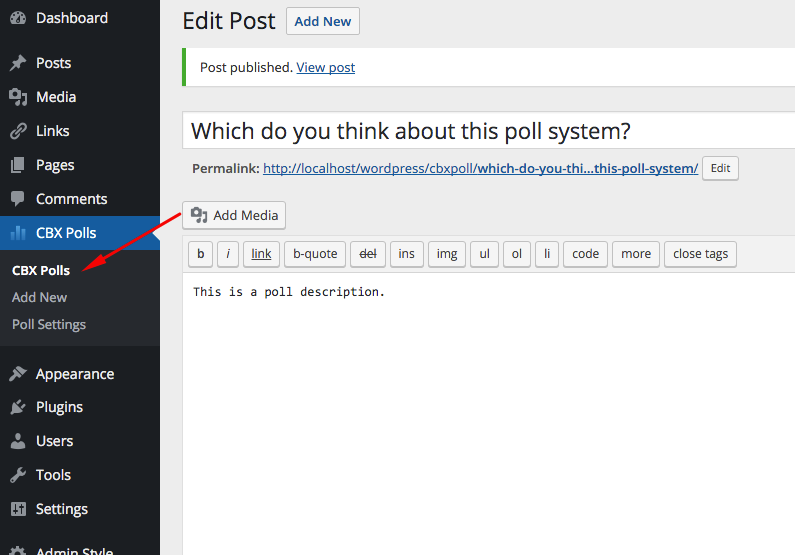 Create Poll like WP default post editor. 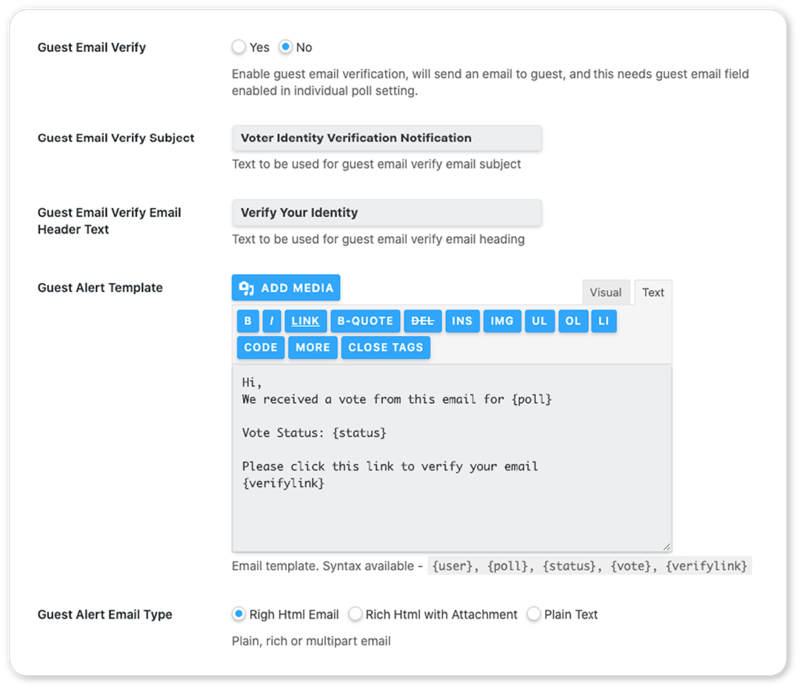 Available clean email settings for guest email notification. 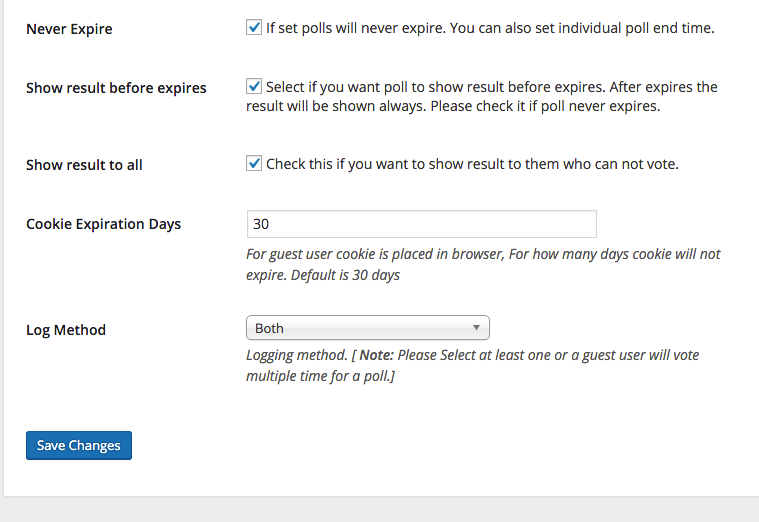 Ip and cookie checking system to restrict repeated voting for guest user. 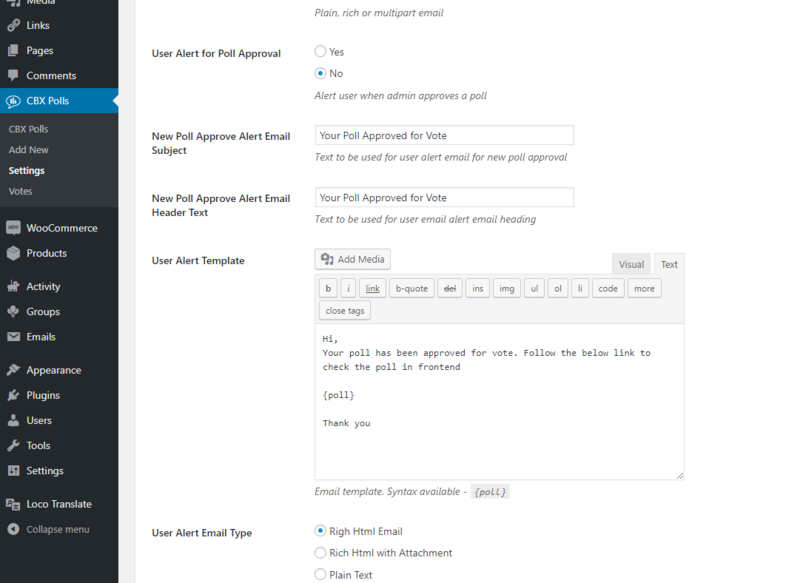 Guest can not vote changing ip or cookie using same email again if email validation is enabled. 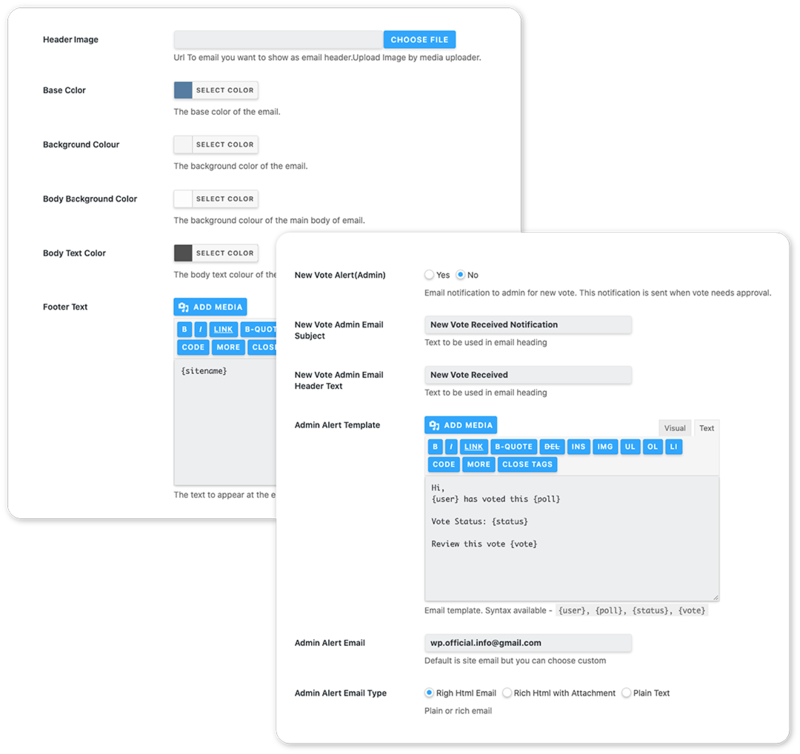 Settings api is extendable through hooks and filters. 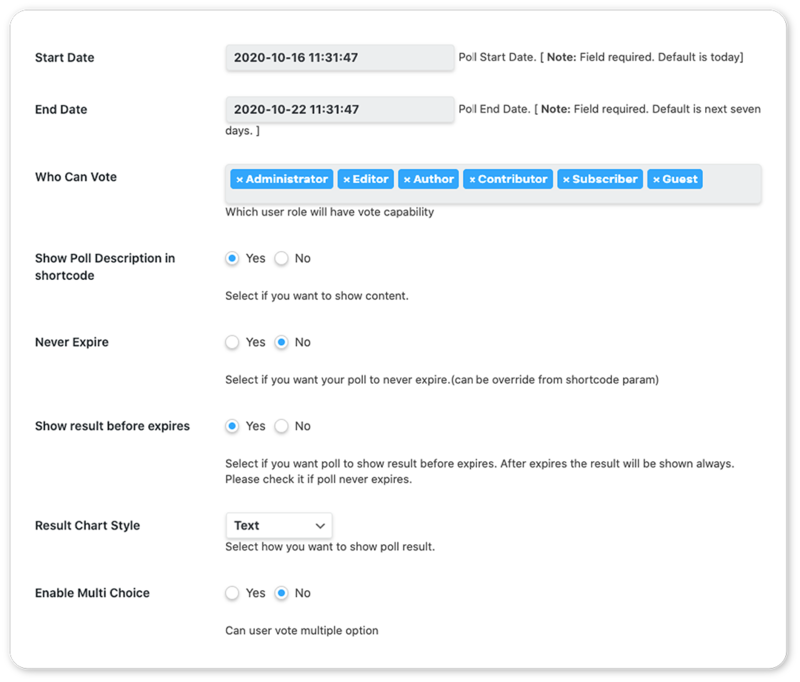 Can create custom settings fields to interect the form behaviour through hooks and filters. 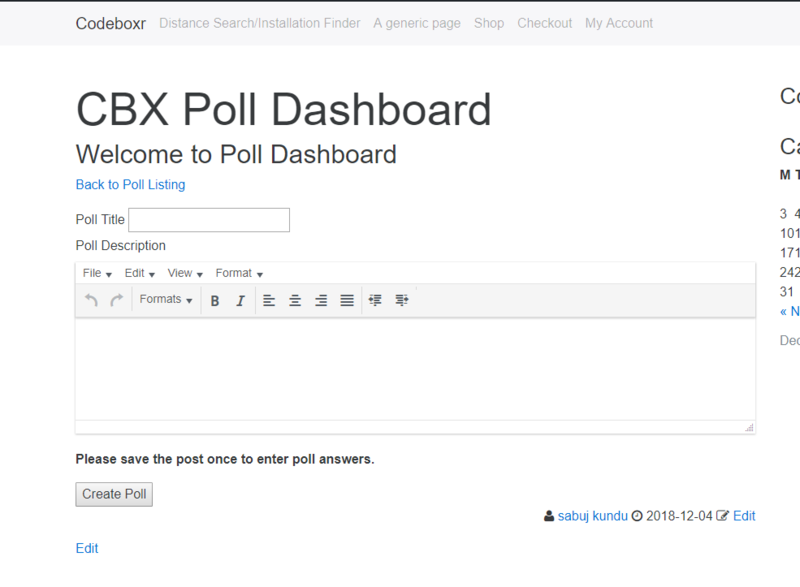 From frontend dashboard user can create poll, publish or send to admin for approval. 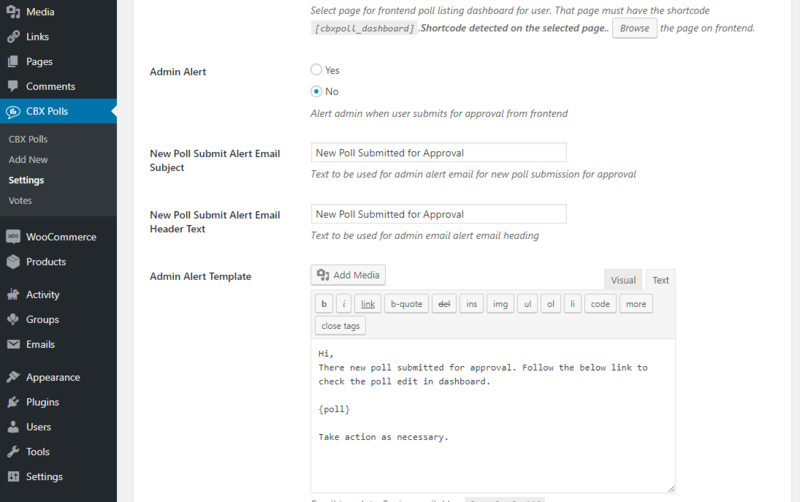 Email alerts for users when poll is approval for vote. Support is very straight forward. 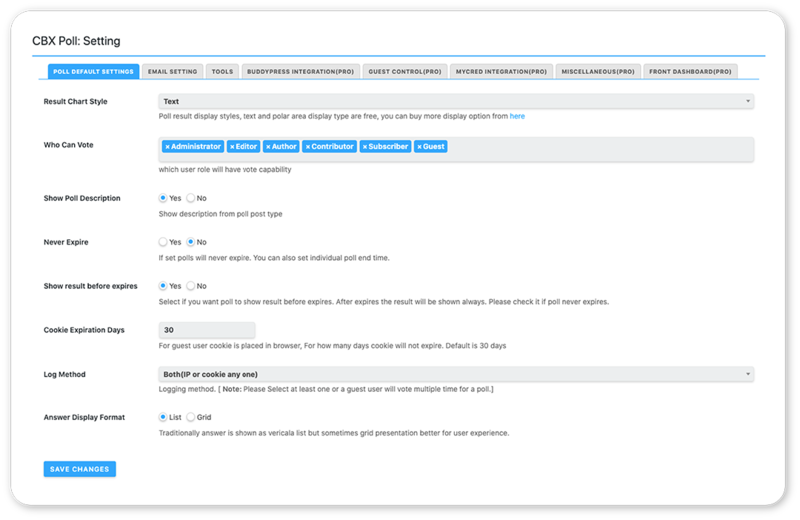 Free core version is free and not under premium support policy unless you purchase the promium addon. 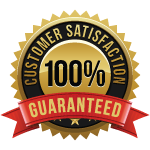 For premium addon with core premium support one year support for one domain, ie. 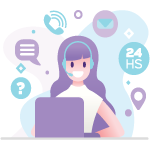 One purchase = one year one domain support.